Seventy percent of Americans will study at a 4-year college, but fewer than two-thirds of those students will graduate, according to Collegiate Atlas. With the sizable number of students who will make the difficult decision to take time off from school, families and students need to plan for a worst-case scenario and protect their tuition investment. Whether they have saved over the years to pay their tuition or taken out college loans, no one wants to experience financial losses when they can protect against it. An Allianz Global Assistance survey of more than 200 financial advisors showed that 78 percent would recommend tuition insurance to students who will take out loans to help cover college expenses. According to a recent consumer report, that’s two-thirds of all students going to college. More specifically, nearly three-quarters (72 percent) of financial advisors would recommend tuition insurance to parents of a first-year college student, 65 percent would recommend it to a graduate student or their parents, and 65 percent would recommend it to those returning to school after taking time off. Daniel Durazo, director of communications for Allianz, was pleased most financial advisors recommended tuition insurance, especially for incoming freshmen. “The fact that they encourage tuition insurance is a confirmation of what we’ve been saying to families, students and financial advisors at colleges and universities: Unexpected things happen, and you really should insure college tuition like you would insure your house, car and other big investments. “College and universities can help families navigate their concerns about tuition investment. 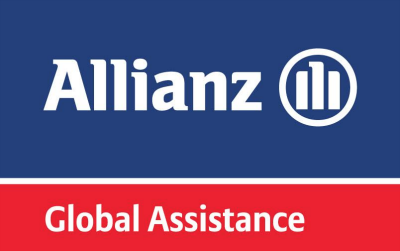 By partnering with Allianz, they can help provide students and families with peace of mind,” said Durazo. According to the Allianz Tuition Insurance College Confidence Index, which surveyed a total of 2,000 college students and their families, 55 percent of prospective students and 49 percent of current students say they’re not very confident that they will finish college without needing to temporarily withdraw, a decision that could result in an average financial loss of about $11,000 and, in some cases, upward of $25,000. Students cannot look into the future and find out their odds of withdrawing from school. However, the Allianz Tuition Insurance College Confidence Index shows many students wish they had a crystal ball. The odds increase when the students take more than four years to complete their degree, which is becoming increasingly common. According to a 2016 Sallie Mae national survey, two-out-of-five families create a plan to pay for college, be it through scholarships, savings or student borrowing. However, too few consider buying tuition insurance to protect their investment against the unexpected – physical health issues, stress, family emergencies, mental health conditions and much more that might prompt a student to withdraw from college. Colleges and universities can help students and their families reduce their potential financial loss due to withdrawals by partnering with Allianz Global Assistance and GradGuard and providing this opportunity to use tuition insurance.